Anaheim is located in southern California in Orange County. The population of Anaheim is between 350-360,000 residents. It is the 10th most populated city in California. Anaheim was incorporated on February 10, 1970 and was founded in 1857 by fifty German families. The city name comes from “Ana” after the nearby Santa Ana River, and “heim” a German place name compound originally meaning “home”. 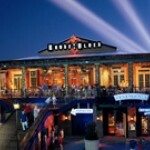 Visitors at the House of Blues have reported being pushed around by an unseen force, particularly on the first floor.